Dental Crowns: On either end of the bridge is a crown, which is a hollow artificial tooth that fits permanently over your natural tooth. Pontics: These are artificial teeth that are situated between the dental crowns – they replace your missing teeth, filling the open space in your mouth. If you look at the open space in your mouth, you will see that there is one tooth that sits in other side of it. 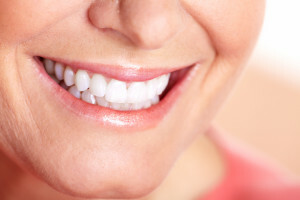 Each tooth is called an “abutment tooth” or an “anchor tooth.” These are the natural teeth over which we will permanently cement the dental crowns. Once in place, the bridge will create a seamless finish, so your smile looks natural and complete. We will color-match the crowns and pontics in your bridge to match your remaining natural teeth. This will ensure the teeth look as though they are your own, rather than artificial ones, so you can feel wonderful about your appearance.